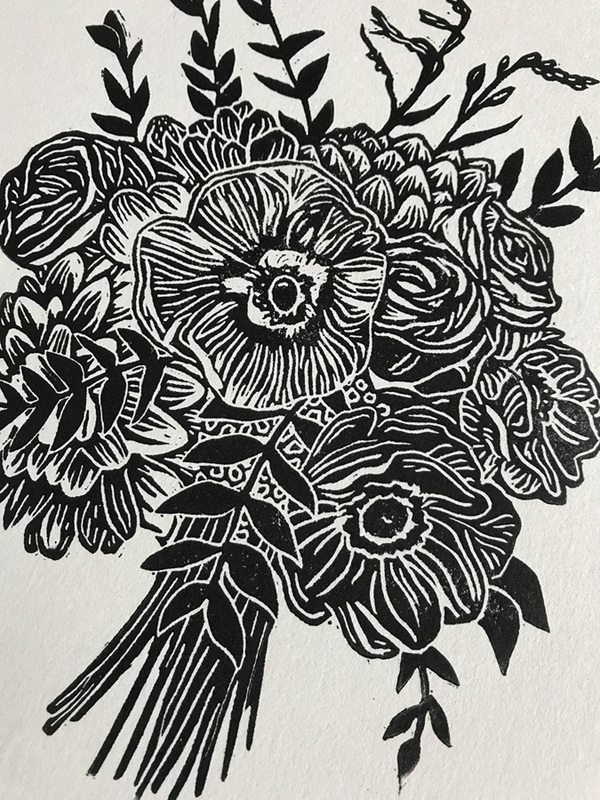 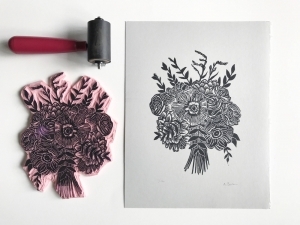 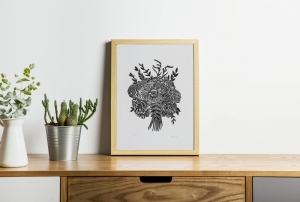 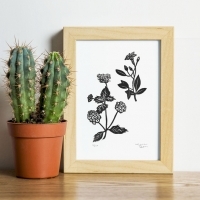 This is an original, linocut print titled, “Bouquet #10″ by Alisha Baker of Whittled Inklings. This print first developed as an illustration. 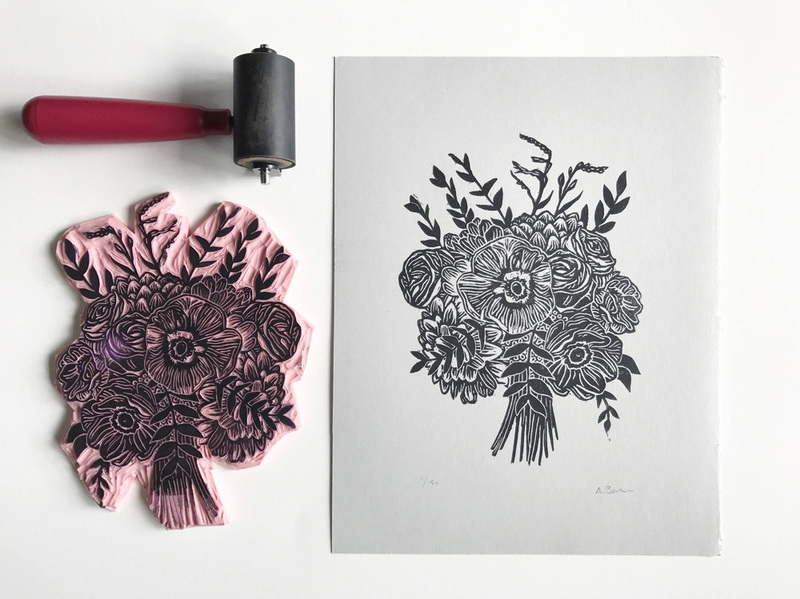 It was then transferred onto and carefully hand-carved from a rubber carving block which was inked and pressed to make this original image. 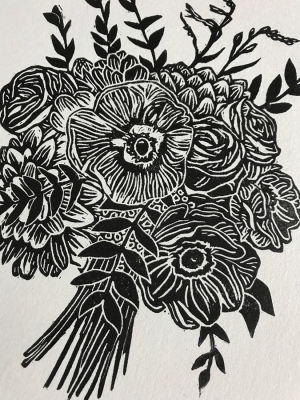 Since these prints are inked and stamped by hand, they are uniquely special and will have slight variations from one to the next. 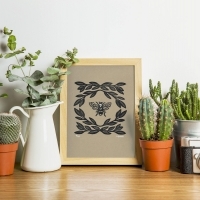 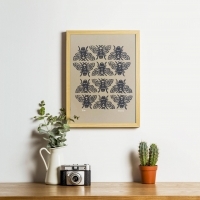 Whittled Inklings "Wildflowers Linocut Print"
Whittled Inklings "Floral Bee Linocut Print"
Whittled Inklings "Geometric Bee Linocut Print"